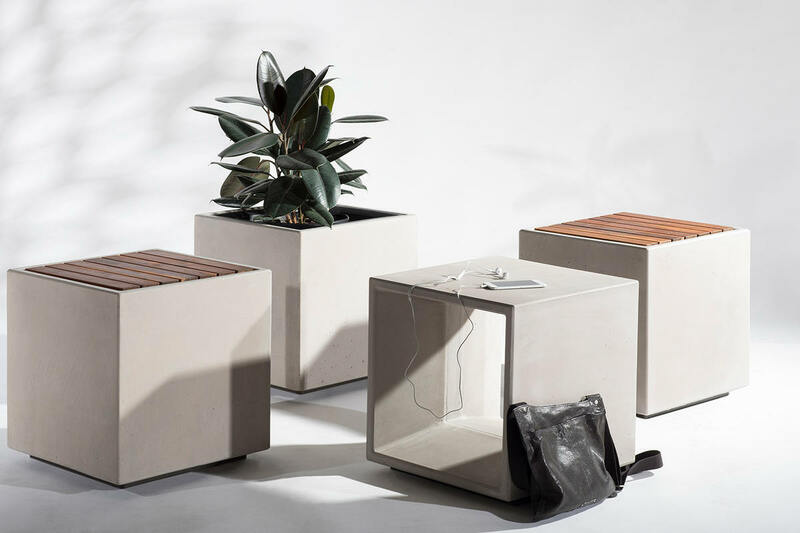 Simple in form and functionality, Quadra is a minimalist modular family comprised of seats, tables and planters. 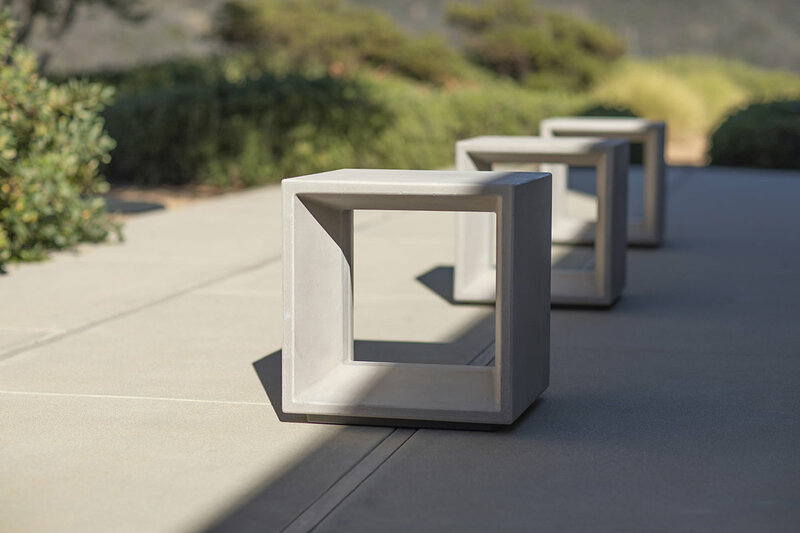 This highly adaptable group offers playful design flexibility—think of it as building blocks for creating site-specific gathering areas. 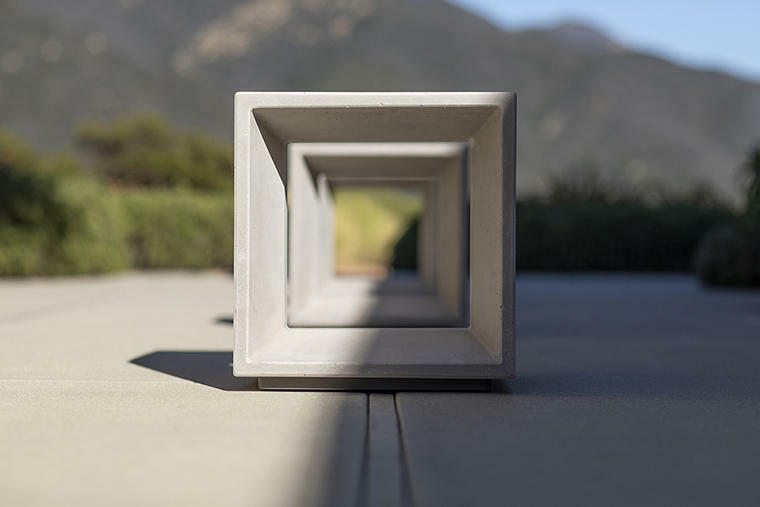 Quadra modules are cast of TENSL Ultra High Performance Concrete (UHPC), an exceptionally durable material that performs beautifully in outdoor environments. 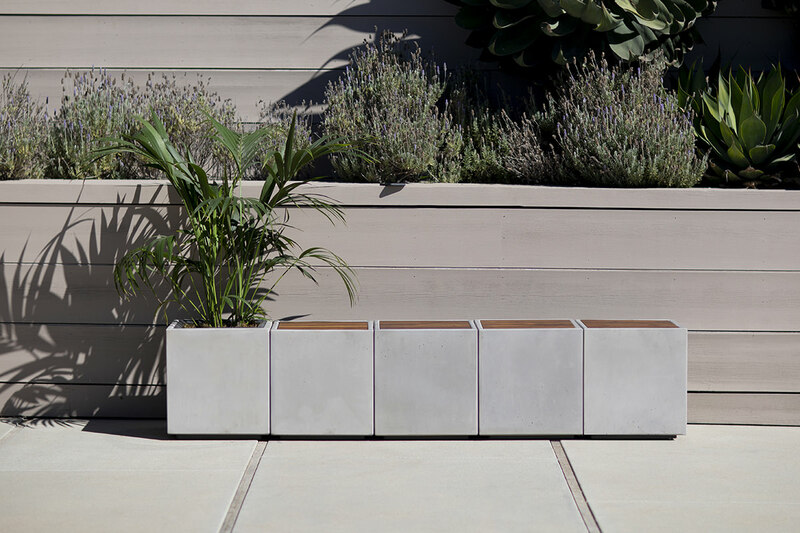 Individual modules can be used in multiple orientations, alone or in groups, and incorporate different inset materials. 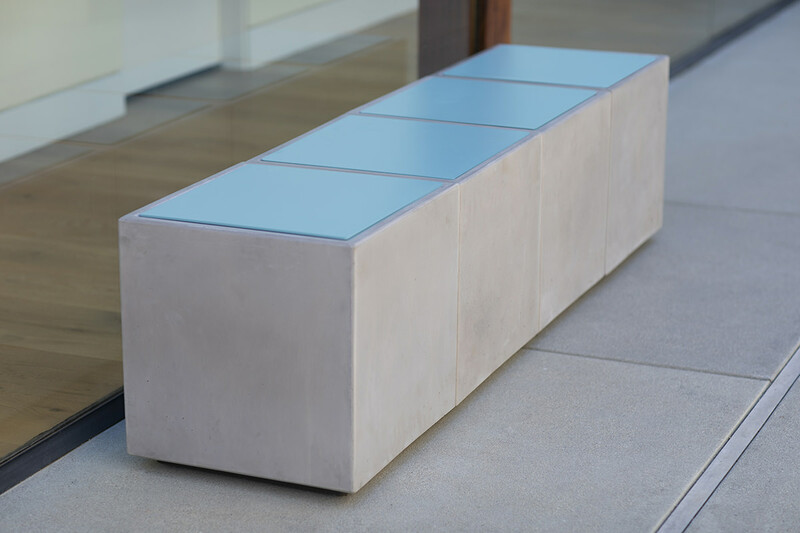 For use as seats and tables, modules can be specified with the aperture in the casting facing front to back. 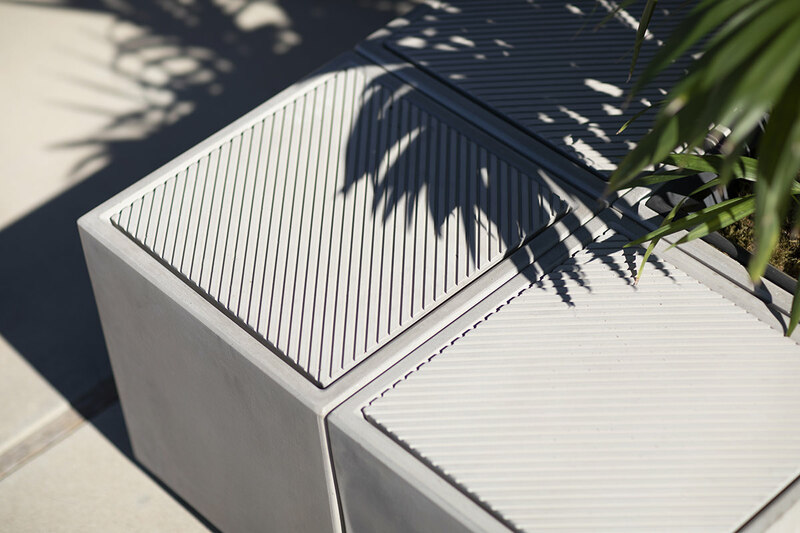 Or they can be specified with the aperture oriented top to bottom, in which case a variety of materials, or a planter liner, can be inset into the top opening to create distinctive seating, tables and planters. Quadra’s inset options expand the design flexibility. Wood insets have slats of FSC® 100% or Recycled reclaimed hardwood with a natural oiled finish. Aluminum insets are powdercoat finished and come in a wide range of standard and custom powdercoat colors. Insets of TENSL UHPC can be specified with or without a surface pattern. 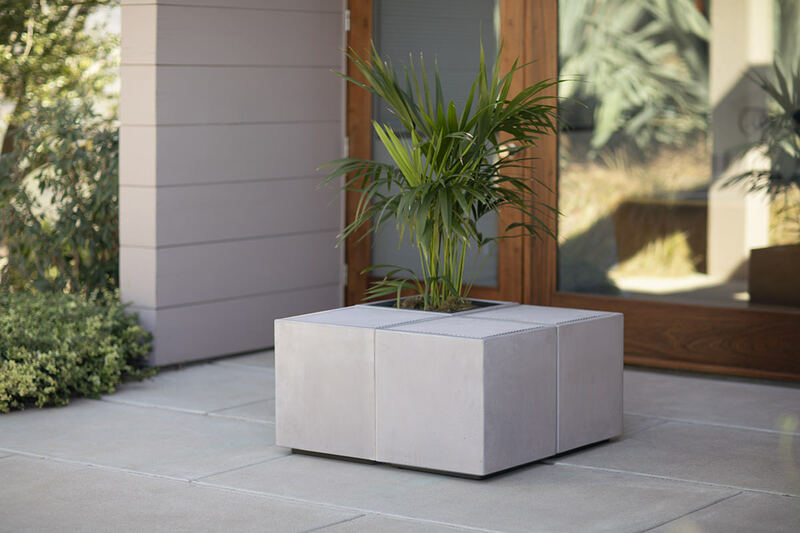 Quadra modules are nominal 17"W x 17"D x 18"H. Powdercoated aluminum bases add just under an inch to the overall height of the TENSL UHPC cube. Minimalist. Modular. Adaptable. 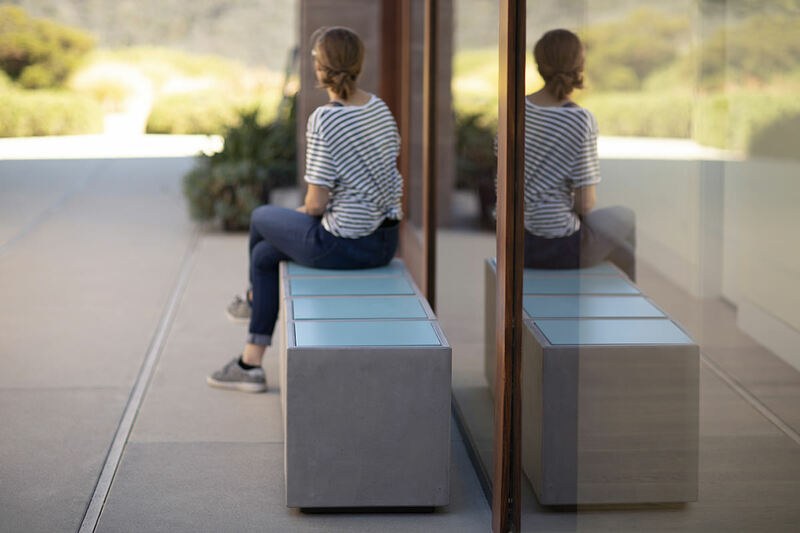 Quadra gives you versatile ways to shape meeting spaces, huddle zones, and other site-specific gathering areas. To learn more, browse the Quadra product page.